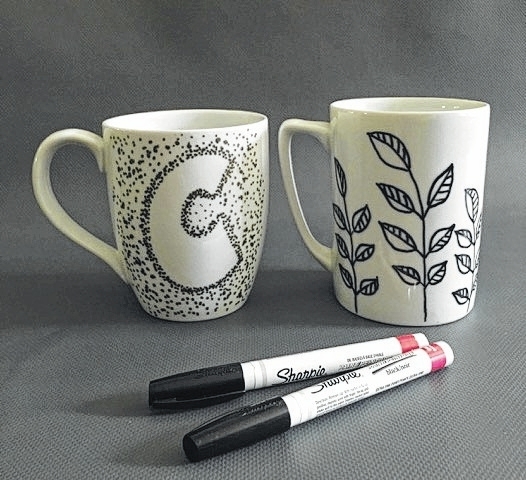 Design your own mug Nov. 7 at the Champaign County Arts Council, 119 Miami St. Admission charge of $5 covers a mug and decorating supplies. For more information, call the Champaign County Arts Council at 937-653-7557. The Champaign County Arts Council will hold a drop-in MUGS workshop from 10 a.m. to 2 p.m. Saturday, Nov. 7. Drop by the Arts Council, 119 Miami St., Urbana, and pay a $5 fee for a blank mug and the use of supplies to decorate it, Arts Council Executive Director Heather Brackney said. “Make one for yourself or as a gift for a friend. This would even be a great project for kids,” she said. Artists will be on hand to help with the project, and Urbana artist Debbie Loffing will be selling some of her own handmade mugs. Complimentary hot chocolate will be provided by Tim Hortons, and the Arts Council will be selling sweet treats. The Ohio Arts Council helped fund this event. Submitted by Champaign County Arts Council.